What if Your Website Were an Animal? If your website were an animal, what would it be? Recently I was thinking about the circumstances that led to the creation of my hybrid ASP.NET Web Forms and MVC site: we didn't have the resources to fully rebuild our Web Forms site, but we wanted to move forward with MVC. Most of us have been there -- the 100% solution isn't feasible and instead you move forward with what you can. So we created a hybrid site that supports both. It's an atrocity to coding. If my website manifested as an animal, it'd be a pugrilla. The MVC part is the pug -- lightweight, agile, and fun to play with. 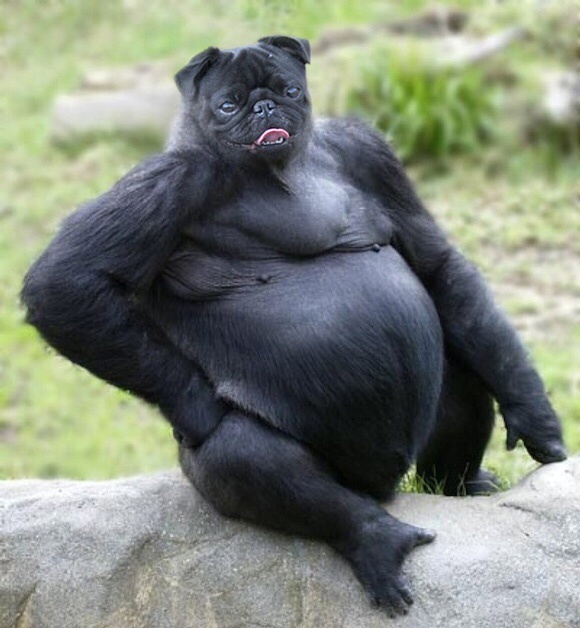 The Web Forms part is the gorilla -- the older, heavy framework lurking beneath the cute pug face. The other thing that comes to mind is Galaxy Quest and the attempt beam Gorignak (or what they thought was Gorignak) aboard the spacecraft. I think this short scene accurately represents the ASP.NET team's technical design and our real-world implementation. Everyone's site, behind the scenes, has its own issues. So if your site were an animal, what would it be?